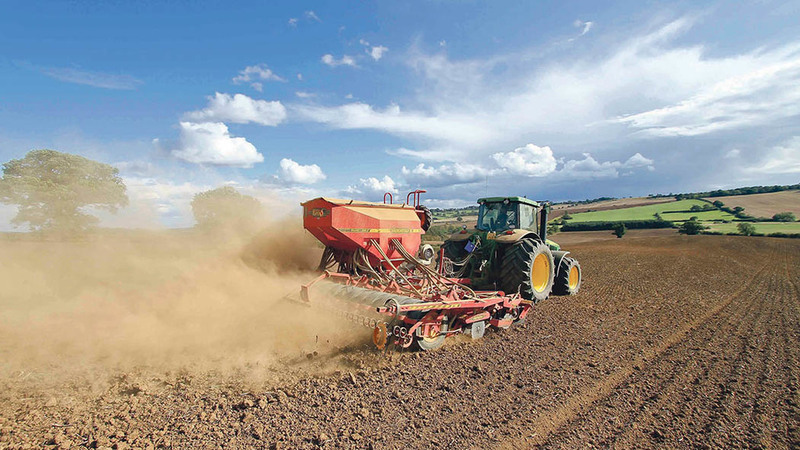 The EU Commission’s April ban of neonicotinoid seed treatments for all outdoor uses – set to take effect in 2019 – means that cereal crops sown this autumn will be the last to use treatments like Redigo Deter (prothioconazole + clothianidin) to protect establishing plants. Instead, growers will need to continue to adopt an integrated pest management approach to control the aphid vectors that transmit barley yellow dwarf virus (BYDV). Consideration should be given to drilling later (if appropriate), using aphid monitoring systems, walking the crop to check for aphids and only using pyrethroid insecticide sprays where necessary, according to Bayer. Claire Matthewman, the company’s campaign manager, recommends that if it is necessary to use a pyrethroid such as decis (deltamethrin), growers should use the full recommended dose and optimise timing of the spray, instead of increasing the number of sprays. This will reduce the chance of aphids developing resistance to the insecticides – and lessen the harm to beneficials in the crop, she adds. The T-sum is calculated by subtracting 3degC from the average temperature each day and adding the result to the running total. When the T-sum reaches 170, it is an indicator that the second wingless aphid generation could be starting to emerge, so growers should be walking their crop daily and only spray if aphids are present. When the T-sum reaches 340, significant aphid activity is likely and BYDV spread will accelerate, so a pyrethroid treatment should be applied as soon as possible, according to Bayer. Last season, just under half of winter wheat and winter barley crops were treated with a neonicotinoid seed dressing, it says. “Using the T-Sum calculation will help both minimise the use of foliar insecticides, and maximise their effectiveness when they need to be used,” says Mrs Matthewman. “It is very widely used, not just in Europe but also in other parts of the world where cereal crops are grown.